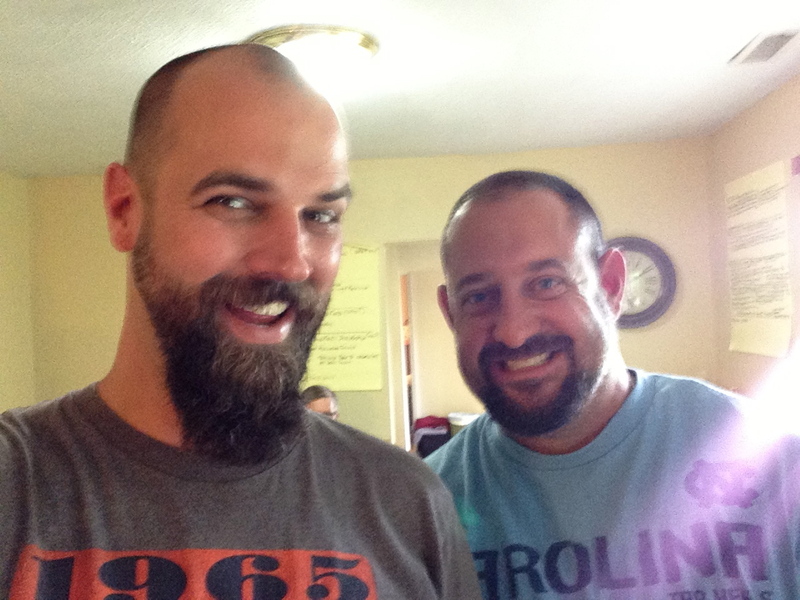 Clint Harrill (right) is a farmer & missionary in Forest City, NC whom God is using to transform his community through disciple-making and church multiplication using T4T process. I love hearing example after example of God’s faithfulness when people pray and then radically obey. I heard another one this morning from my buddy Clint Harrill of Forest City, NC. During his morning quiet time yesterday he prayed specifically for an opportunity to share his story and Jesus’ story with a person who is far from God. He got his answer that day in an unusual way. As he was driving in his truck a young man crashed into him (everyone was okay). Clint saw this as his opportunity so asked the driver his story and Clint heard no hope in Jesus. He then shared his own story and Jesus’ story (the gospel) with the young man. Praise God that this young man believed in Jesus and later saw the accident as a blessing because God used it to bring him to faith in Jesus. Pray for this new follower of Jesus who is being equipped by Clint to grow in his faith and reach his oikos (friends, family, community) with the gospel. Let’s not miss this wonderful example that God has provided us through Clint. If you are in Christ, you have the Spirit of God dwelling in you. You are armed with His Word. Will you pray today for an opportunity to share your story and Jesus’ story with someone who is far from God…and then obey when the opportunity is provided (no matter what that looks like)? If you are not equipped to train a new believer to grow and make disciples, then get equipped. It is not rocket science. If you need help, please contact us (CoopersOnAMission@Gmail.com). There is NOTHING like allowing God to use you on His radical mission! !